An exclusive WhoWhatWhy investigation has found serious factual inconsistencies in accounts provided by the only witness to the alleged confession of the Boston Marathon bombing suspects. Why does this matter? Because this witness is the sole source for the entire publicly accepted narrative of who was behind the bombing and its aftermath—and why these events occurred. -Tamerlan Tsarnaev, on a US security watch list since 2011 after the Russians provide a warning to American intelligence, goes overseas and allegedly exhibits further problematic behavior. -In April, 2013, a savage attack is unleashed at the Boston Marathon, disrupting an iconic American event. Innocent people lose limbs and lives, America is traumatized anew, and a large American city is “locked down” while normal processes and procedures are abandoned. We are told that Tsarnaev and his younger brother are responsible for all this–and for the cold-blooded execution of a campus police officer several days later. Yet our sense of certainty that the Tsarnaevs did this—and did it alone without America’s security apparatus knowing a thing—is actually dependent largely on the say-so of one person, one witness. While we’ve been told that authorities have definitive proof, including a video showing the brothers leaving the backpack with the bomb, we’ve never actually seen it. Thus, the problems we have uncovered with the witness’s testimony (as represented by law enforcement) now raise questions about almost everything concerning what has been described as the largest terrorist attack on American soil since 9/11. As the classic saying goes, “A lie gets halfway around the world before the truth has a chance to get its pants on.” That is perhaps even more true in these days of Twitter and Facebook and instant blogging. When a big news story breaks, the first reports are often rife with misinformation based on a combination of innocent mistakes, sloppiness, conjecture, and poor communication. Such was the case with the 1963 assassination of President John F. Kennedy: sheriff’s deputies converging on the Texas School Book Depository in Dallas reported finding an entirely different type of gun than the one ultimately said to have been the murder weapon. And doctors at Parkland Hospital claimed initially that a shot had hit President Kennedy from the front, before they were told in no uncertain terms that they were mistaken, and a narrative formed around all the shots coming from behind—and only from the Depository. Truth seekers know, from experience, to pay close attention to how a narrative changes in the first hours, days and weeks following an event of significance. That would be especially apt when the one whose story is changing is the principal witness. The identification of the alleged Boston bombers, now a virtually unchallenged “fact,” is based largely on a single event: the supposed carjacking of a young man whose identity is still masked from public scrutiny. The public’s understanding of what took place is based on this anonymous person’s oft-cited claims to have witnessed a dual confession from Tamerlan Tsarnaev, who purportedly boasted of having committed both the bombing and a later murder of an MIT police officer. According to the widely accepted story of the horrific events of April 15-19, 2013, three days after the Marathon bombing, a Massachusetts Institute of Technology campus police officer was shot and, within minutes, a young man in a Mercedes SUV was carjacked, across the river in the Brighton section of Boston. Police and media accounts have Tamerlan Tsarnaev abducting a young Chinese national (known publicly only by the pseudonymous first name “Danny”). In these accounts, Tsarnaev tells Danny that he was responsible for both the Boston bombing and the MIT shooting. The alleged carjacking led to a law enforcement shutdown of the greater Boston area, a huge manhunt, and subsequent confrontations in which Tamerlan Tsarnaev was shot and killed. His younger brother, Dzhokhar, was seriously wounded by multiple gunshots while hidden in a boat, before being apprehended by police. In the current “official” narrative, the Tsarnaev brothers took Danny on a wild 90-minute ride that traversed the Boston area and involved stops to extract money from Danny’s bank account and then to buy gas for the brothers’ planned escape from the Boston metro area. It was during a stop at a gas station, the story goes, that the younger brother went inside to pay for the gas. While the older brother was momentarily preoccupied with a GPS device, Danny made his escape and was soon sharing with law enforcement his claim that he had heard the crucial confession. But a 10-month investigation by WhoWhatWhy has found major inconsistencies in Danny’s story — inconsistencies that call into question whether the authorities now prosecuting Dzhokhar Tsarnaev for murder are leveling with the American people. For several days after the violence of Monday, April 15—which killed three people and injured another 264—an uneasy public waited nervously for word of who was behind the savage attack. The authorities were under intense pressure to produce results. The hours and days ticked by. Then, suddenly, action! At 5pm on Thursday afternoon, the FBI released pictures of two suspects. At approximately 10:20, violence exploded anew, in a different and wholly surprising direction. 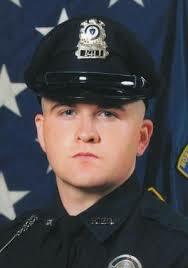 On the quiet nighttime streets of Cambridge, Massachusetts, an MIT campus police officer, Sean Collier, was apparently executed in cold blood by the panicked Tsarnaev brothers in a botched effort to get his gun. And then another newsflash: a young Boston man had been carjacked—and after a bizarre, circuitous drive around the area, escaped to tell an astonishing tale: his captors had confessed to him their responsibility for both the Marathon bombing and the killing of Officer Collier. That turn of events ushered in a cavalcade of developments almost too rapid to follow. It justified the unprecedented military and law enforcement “lockdown” of Greater Boston and the intense manhunt that riveted the world and brought the Boston bombing story to a quick and dirty conclusion. In the early morning hours of April 19, Tamerlan Tsarnaev was killed when he was shot in a firefight and then run over by his younger brother, Dzhokhar. The brother escaped, but was discovered that evening hiding in a boat parked in a backyard, and was apprehended in critical condition after authorities fired a barrage of shots into the boat. This frontier-justice resolution of a national tragedy eventually led to a huge rally featuring the vice president as the key speaker, praising the bravery and responsiveness of the security state. A specialty beer and a charity event were fashioned around the tragic young officer, bike rides and a host of tributes to the “first responder” followed. In the end, everyone could feel good about their country, about the “heroism” of the lowly, underpaid campus cop, about the vaunted efficiency of their law-enforcement agencies. Stressed-out Bostonians, and Americans everywhere, could be reassured that all was well in the land. That is the generally established narrative. But after studying the various accounts provided by “Danny” to the media and law enforcement, WhoWhatWhy has found substantial inconsistencies on a range of points—that are too drastic to be explained as the usual variations that arise in retelling. Taken together, those inconsistencies demonstrate at minimum essential unreliability, and perhaps something much more troubling…from a key witness offering damning life-or-death evidence in the worst terrorist attack since 9/11. Is Danny some pathological liar seeking fame? Or is he someone more sympathetic and perhaps vulnerable—a foreign-national entrepreneur, with an uncertain immigration status, being squeezed by law enforcement to help quickly tidy up a messy disaster that caught our multi-billion-dollar-a-year national security apparatus off guard? “Authorities launched an immediate investigation into the circumstances of the shooting. The investigation determined that two males were involved in this shooting. “A short time later, police received reports of an armed carjacking by two males in the area of Third Street in Cambridge. Tamerlan’s Location When Danny Escapes? Conflicting version 1: Tamerlan was at the gas pump. Note: the conversation below includes paraphrasing of Danny’s comments in an ABC (WMUR) interview with Nick Spinetto, April 22, 2013. We replaced the paraphrases with Danny’s actual comments whenever they were flashed on the screen—presumably from a transcript of Spinetto’s interview with Danny. While they are very similar to Spinetto’s paraphrasing, we used the on-screen comments from Danny for greater precision. Spinetto: (On camera) Well, the carjacking victim is actually shaken to the core after being taken hostage by the Boston Marathon bombers. Today, he and I spoke at length. For safety reasons, he asked us not to reveal his name, but he did describe in vivid detail his capture by the wanted terrorists, those brutal minutes he thought he would die and, ultimately, his brave escape. Spinetto: (Voice over scene) Shortly after MIT police officer Sean Collier was killed, authorities received reports of an armed carjacking only minutes away. 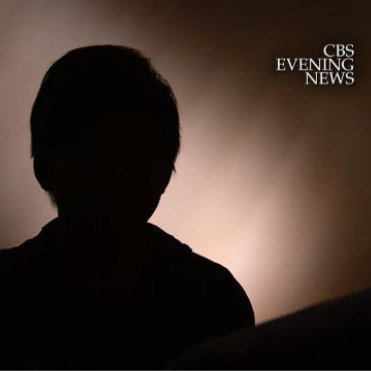 Monday, that carjacking victim was ready to tell his story, but not ready to do an on-camera interview. The man says it was Thursday night around 11, he was in his car pulled over to the side of the road, when a man approached holding a gun to the passenger side window. Spinetto: (On camera) The carjacking victim says that he drove, here, to this Shell station on Memorial drive. While one brother went inside to pay for the gas, the other pumped… and that’s when the victim took off. 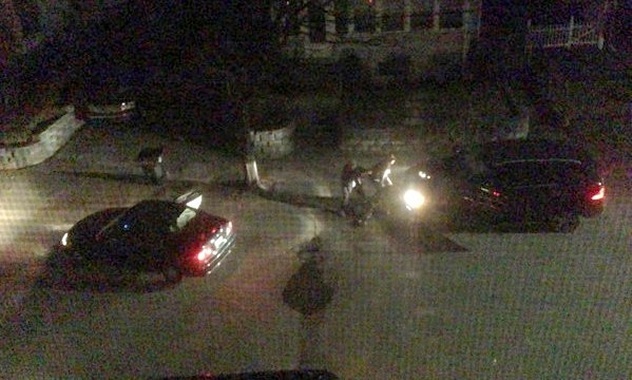 Conflicting version 2: Tamerlan was in the car. Note: This version comes from an interview with Danny by CBS News’ John Miller. Miller: So, when you get to the gas station, tell me what everybody does. Who does what, first, and then what happens? Danny: Okay, so, when we get it to the gas station… hm… Jahar [Dzhokhar] get out of the car, he took my… credit card, trying to pump using my credit card. I was very lucky, the pump, it was only cash only. So, he look, looked at my window, say, asked me, [he] say: “It’s cash only!” So, Tamerlan asked him to pay some cash inside. John Miller: So he has to go in the store. Danny: Jahar has to go into a store. John Miller: So now it’s you and Tamerlan in the car. Danny: I was with Tamerlan, so, I think it’s a very good chance for me, you know, there’s only one person in the car right now… and uh, I was, uh, trying to watch what, uh, Tamerlan is doing… uh, I was trying to find the gun… I didn’t see the gun because the gun was put in the pocket of the, of the door. 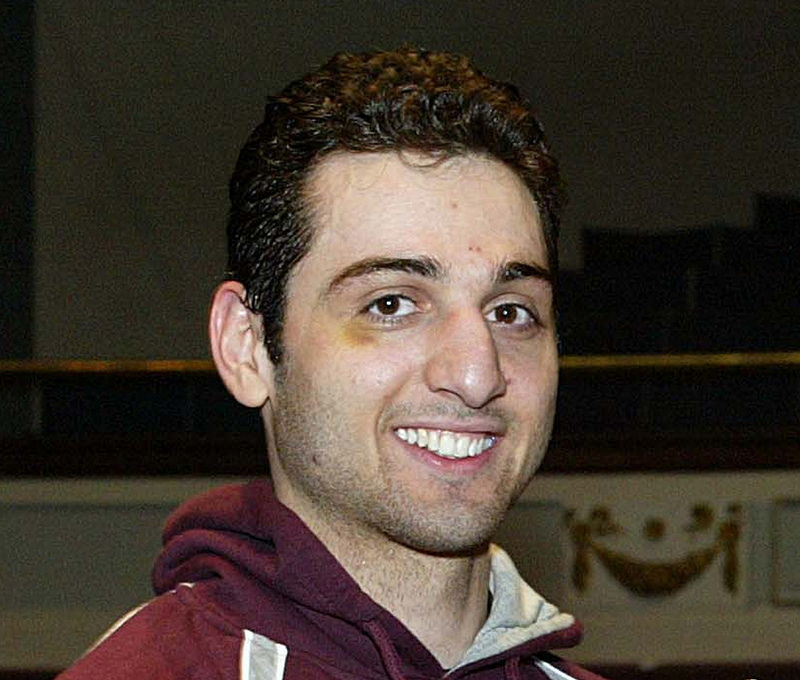 John Miller: Now, is Tamerlan sitting next to you in the car? Is he standing outside the car? Danny: He was sitting next to me. He was on the, uh, driver’s seat, I was on the passenger seat. John Miller: So this, you think, this is your chance. Danny: This is my chance. So, I was… struggling, you know, should I do this? Should I do this? Becau [sic]… another good thing for me is the door was unlocked. The only thing I have to do is, use my left hand to unfasten the seatbelt, use my right hand to open the door. John Miller: So, the thing that you’ve been rehearsing in your mind, three steps, is now down to two. Danny: Down to two, yeah. So, that’s [unintelligible] I found that Tamerlan used both his hands, like, play, like, doing some GPS thing, or something. So, I think it’s very good for me. John Miller: So he’s got, he’s got the gun in the side pocket of the door, he’s got a GPS, his brother’s in the gas station, and you say… the time is now. Danny: Yeah, yeah…the time is now, you know. John Miller: So how do you do that in your head? Do you say, 123…? Danny: I was, I was counting- I was counting, I went, 1234. And I… just do it! And ah, I did it. John Miller: So what happens? Danny: I jump out of the, jump, jump out of the, the vehicle, and I close the door, and I can feel, Tamerlan was trying to grab me, he didn’t touch me, but I could feel him trying to grab me. John Miller: And now you’re runnin’. Danny: I was run. I was runnin’, I was running. As if it weren’t enough to discover these totally incompatible versions of whether he was carjacked at all, and if so, for how long, and whether he escaped or was released, there is yet another variation, courtesy of the “newspaper of record,” The New York Times, the preferred go-to place for official leaks. It is certainly interesting that in this interview, presumably viewed as crucial, and conducted within a day or so of the carjacking, a highly briefed official would get “wrong” such a central fact as Danny’s manner of parting with the brothers. Also, in Danny’s revised account, there is no mention that the suspects “decide[d] not to kill” him. Indeed, he said they made clear from the outset that they would not harm him. Putting together elements of these two different accounts, one could conclude that, in fact, the hijackers always meant not to harm him but only to use his car to escape what they took to be their own certain deaths if they remained in town during a police manhunt spurred by a “cop killing” that they had reason to think they would be accused of. Spinetto’s interview with Danny tracks with the New York Times’ version, and it is based not on a second-hand account from an unidentified law enforcement source but on a direct interview with Danny. So we thought it essential to ask Spinetto what he made of all this. To sum up, we see three very different versions. Version 3: He “bravely” escaped when Tamerlan let his guard down and was momentarily distracted. The one thing we notice about the evolution of the Danny narrative is that the original story did little to support the notion that the brothers were cold-blooded, ruthless killers. Simply put, the story that is now cast in stone makes much more sense if the goal was to create an impression of the brothers as ideologically driven terrorists and the murderers of an innocent police officer. First Report of a Confession—and to One or Both Crimes? The first “dual confession” report we could find, from the Associated Press, came early on the afternoon of April 19, from Edward Deveau, police chief of Watertown, the scene of a wild car chase during which Tamerlan Tsarnaev allegedly lobbed explosives at his pursuers before being gunned down. The carjacking victim was released unharmed at a gas station in Cambridge, sources said. He told police the brothers said they were the marathon bombers and had just killed a campus officer. By the next day, more news outlets (see this and this) were picking up the dual admission. However, the Criminal Complaint, filed on the 21st, which states that Tamerlan admitted to Danny their role in the bombing, notably says nothing about an admission to having killed Collier. On April 22, Nick Spinetto interviews Danny for WMUR and ABC. Interestingly, Spinetto has Tamerlan admitting to the Marathon bombing, but, as with the Criminal Complaint, there is no mention of killing Officer Collier. This omission seems highly newsworthy on its own. In interviews a few days after the Globe article, Danny’s story had gelled. His account to CBS’s John Miller is substantially similar to a contemporaneous interview with NBC’s Matt Lauer. The question is, what happened between Danny’s first interview and the subsequent ones that led to the changed narrative? There are 169 comments Our Comment Policy: Keep it civilized, keep it relevant, keep it clear, keep it short. Please do not post links or promotional material. We reserve the right to edit and to delete comments where necessary.